Your product page is one of the most important sales tools in your store. It has the task of convincing consumers to make that last step and buy. It has to be clear and easy to navigate, be informative and polished enough to promote trust, and enhance the shopping experience. You have to do everything you can to make your product page easy to find and able to convert, once your customers land on it. Let’s take a look at what you can do to make your product page stand out. Most product pages have more or less the same components, but the truly successful pages that convert at the highest rates have really worked out the details and leave nothing to chance. They boast a product title and overview that are clear, concise, and offer no ambiguities. Their descriptions stand out with unique catchy language that is memorable and relatable, and they clearly state how it meets your need. And they take a tip from the newspaper’s handbook and place the most important information just above the fold. What first grabs the visitors’ attention is the polished and professional images that show all possible angles and features. The product photos are the key drivers of engagement, so you have to keep them crisp with clear, white backgrounds. Your fully optimized product page also needs easy-to-use customization options, social proof of your product’s quality by means of reviews or ratings, similar product suggestions to keep visitors engaged, a buying button that stands out, and access to additional info on shipping and delivery. Your product copy speaks to both customers and search engines, so you have to make it informative and keep SEO in mind. While optimized page copy brings in the organic traffic, your photos, text, and site structure help convert that traffic into customers. Don't forget to boost your SEO with your optimized image metadata and alt text to help search engines better find and rank your page. Identify the keywords for your product and include them also in Header (H1) tags and subtitles. You can also add videos to your product page to enrich your customer experience. Your page copy should clearly state what your product is and why your visitors should buy it. If you are selling drones that let your customers take pictures from bird’s eye view, emphasize that unusual offering with images and detailed descriptions. Your content should easily explain your unique value proposition or why your product is the best choice. Say, for example, because it has the highest resolution camera and the longest battery life or because it integrates with VR sets. Keep in mind to clearly display your payment options and your return policies to avoid customers navigating away in search of answers. Have a link to your FAQ page for quick reference to specific questions. If you are offering free shipping, make sure it’s clearly stated in a place that your customers won’t miss it. Shipping costs are a leading factor in cart abandonment. Go a step further and employ in-store apps like Facebook Chat to casually engage your customers and answer their questions. You can also use a chatbot like Gobot to employ surveys, social media buttons, and email capture. Do not let customers navigate away disappointed if an item is out of stock. Employ back in stock email capture apps like Back in Stock instead. You can use this app to even track conversion for customers who have requested back in stock notifications. Create a sense of urgency with apps like Hurrify, alerting users that a deal expires in a certain amount of time or how many people have bought the item. Further engage your customers with timely pop-ups that can answer questions or offer similar products. You can also use apps and plugins on your product pages to capture emails, or offer signup-to-win content or discount codes. One of the most important places where pop-ups can boost your conversion is addressing cart abandonment. A timely pop-up with a discount or another incentive can bring customers back and reduce abandonment rate. You can also use a Facebook Messenger chatbot like Scout to entice customers back. Alternatively, you can integrate with Klaviyo to send abandoned cart emails and offer incentives. Your site copy is there to support your images. Your product photos cast the first impression on a visitor and either keep them engaged or scare them away. Quality, consistent images are your best brand advocates and evoke trust in consumers. To achieve them, take the time to execute a successful photo shoot. Mind your lighting, shoot on white background, remover the background, and retouch in post-processing. 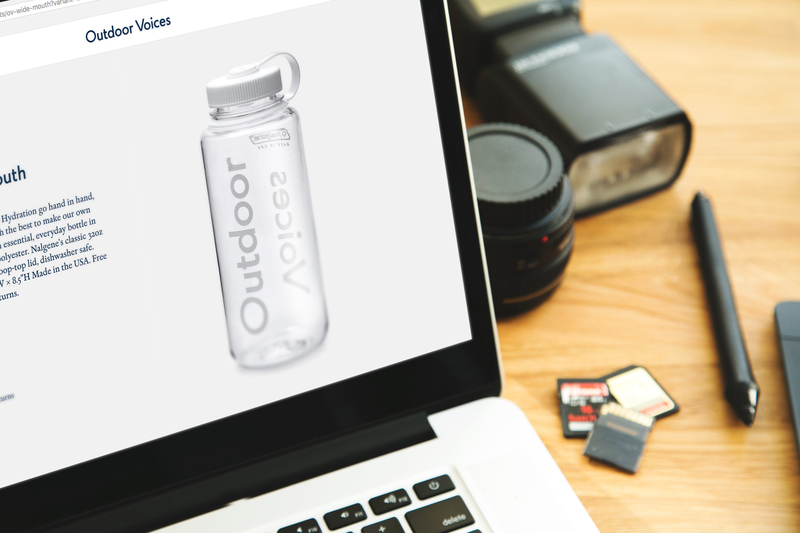 Show your product from all relevant angles and offer lifestyle shots to boosts association. Try to answer any possible question your customers might have with your images. 360-degree photography started with extreme sports enthusiasts and explorers but has long found a home in ecommerce. And the brands that use it stand out. 360 product photography involves shooting your products while they rotate on a platform so you can give your customer a full view from every angle with the use of a Shopify-compatible 360 product viewer, like Imajize. The technology behind a 360 view has several advantages which statistically boost conversion rates, reduce returns, and attract more attention to your store. Unlike video, a 360 view of your product offers unprecedented levels of interaction. This allows your shoppers to actively engage with your product while experiencing a near 100% accurate understanding of your product. It’s easy to learn 360-degree product photography, and there are some great beginner's guides to 360 product photography. You can also outsource 360 shoots to a professional 360 photography studio if you don't have an in-house studio. But if you design 3D models of your product, then you can export a sequence of 360 degree images straight out of your CAD software. Exporting images from CAD also lets you create beautifully realistic 360 degree product animations. Consistency across your store promotes trust and increases your retention rate and consumer lifetime value. Keep the same product scale using templates and always remove your background in posts processing. 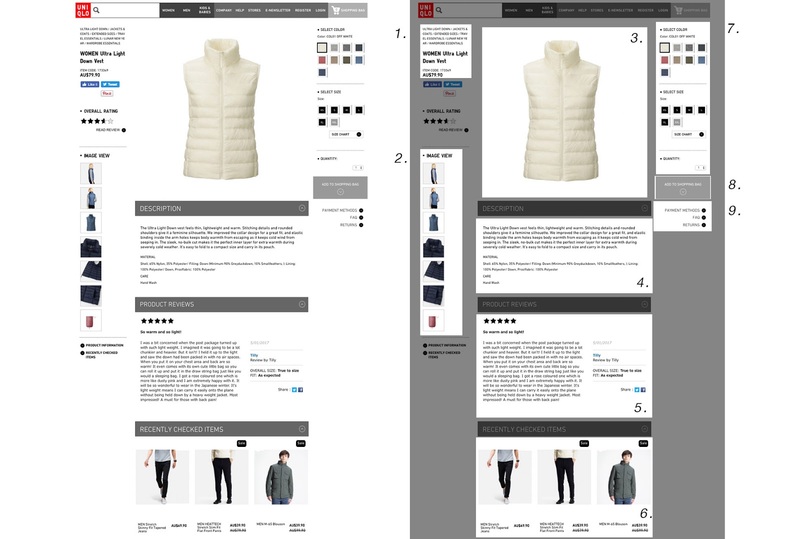 Use the same aspect ratio across your site to make your product and collection pages easy to scan and navigate. A good rule of thumb is to keep your images square so they can look good both on desktop and mobile. You can always make your product images better both on the front- and back-end. Strike the balance between optimum quality and size so your site can respond fast and you do not lose customers. Dimensions should be at least 1000 pixels so your zoom works well and no more than 2000 pixels to keep your site fast to load. Topically ecommerce platforms will automatically resize images to thumbnail, collections, and display sizes and will use the full images for the zoom capability when someone clicks or hovers over your main product photo. But giving them a hand with thoughtful sizing can make your site run even smoother. To find images and other corners of your site that might need to be optimized, run your site through Google PageSpeed Insight. One of the key back-end tricks to boost site speed is to use CSS for your background instead of an image as well as for image borders and buttons. Employ analytics to compare your conversion and load times across devices, and see if you can make adjustments that benefit the user experience. Use Chrome DevTools or an alternative to see for yourself how quickly your page loads and if there is anything that bothers the eye. Images play even a bigger part on mobile, so if they are not loading fast enough, customers tend to navigate away.